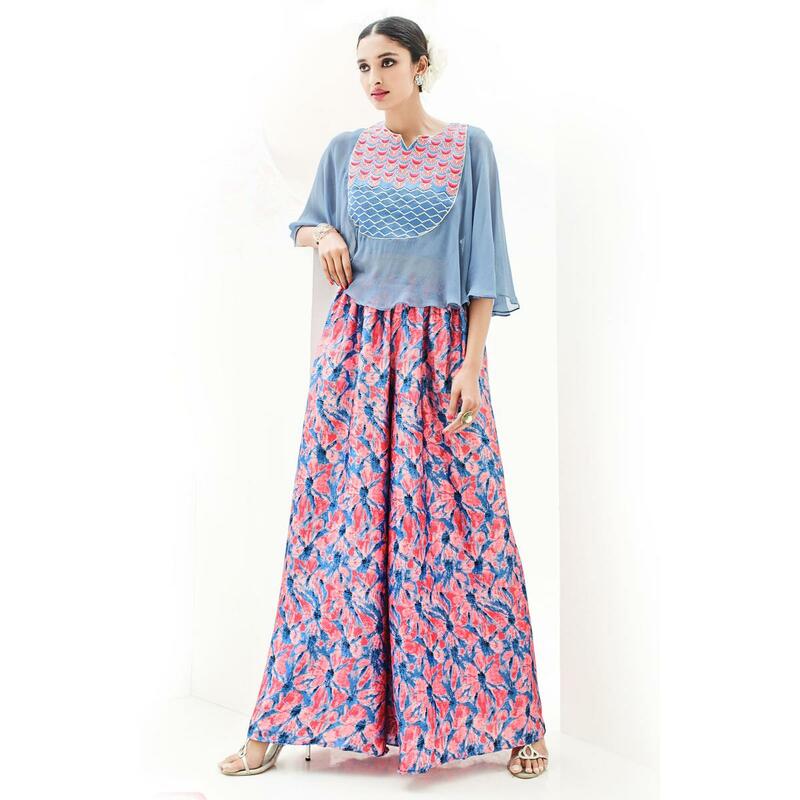 Stay fashionable and stylish adorning this trendy multicolored indo western dress. This stitched outfit features cape style bodice worked with various pattern embroidery and japan satin palazzo pant detailed with floral prints. You can wear this dress for small parties events and outings.